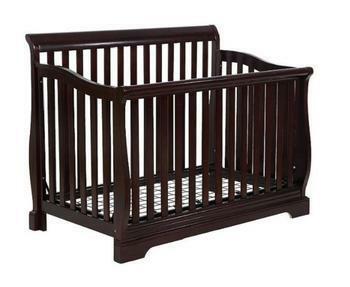 Shermag is recalling about 2,956 Shermag Harrison convertible 4-in-1 cribs. The hardware on the cribs can become loose and detach, allowing the sides of the crib to widen, creating a hazardous gap in which infants and toddlers can become wedged or trapped, posing risks of suffocation and strangulation. Hardware failures can also lead to the crib to collapse as sides may detach. Customers who purchased the recalled product should immediately stop using it and contact Shermag to receive a refund. Consumers with questions may contact Shermag at (800) 567-3419, Monday – Friday from 9:00 a.m. – 5:00 p.m. (ET).